I spent the last few days in Rio de Janeiro, the so-called Cidade Maravilhosa. Long enough to understand how special this place is. I was staying in a hostel in Copacabana, and my first day decided to take a bus and wander around downtown with no map nor plan. Colonial buildings and skyscrapers mixed with certain harmony, and it was easy to blend into the bustling street life. I discovered what would be my sustenance for the following weeks: salgado e suco, a snack (coxinha, empanada, pao de queijo, etc.) and delicious fresh juice (caju became my favorite) that can be bough at any time of day on street shacks for a couple dollars. In the afternoon, I made my way to the hilly, artsy neighborhood of Santa Teresa. I continued walking around, and found myself in the middle of a favela. It was getting dark, so I tried to hitchhike back, without luck… ended up walking and taking a bus back to Copacabana. Somehow, I felt safe, despite being alone and having heard horror stories about the city. It might have been the carioca Portuguese accent I’m learning to fake. 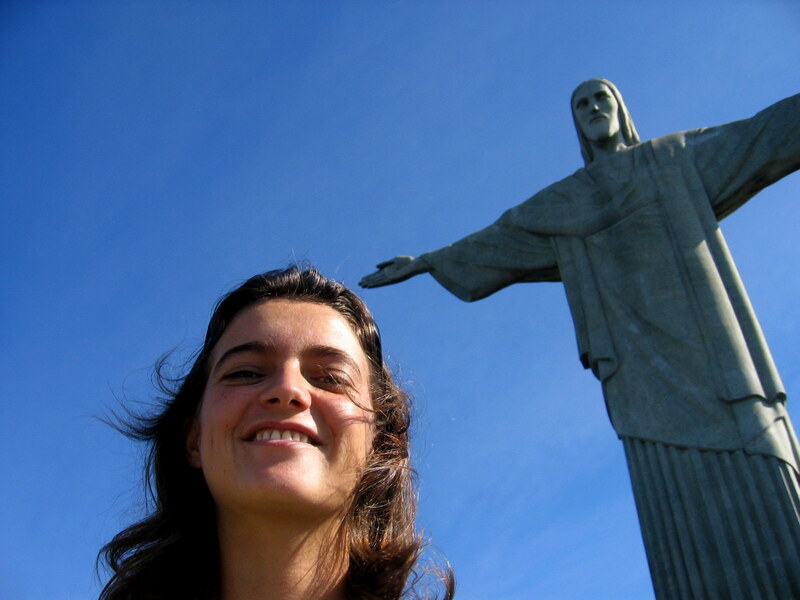 On my third day, I headed to the Pao de Acucar (Sugarloaf Mountain)… and the views were even more amazing than from Corcovado. 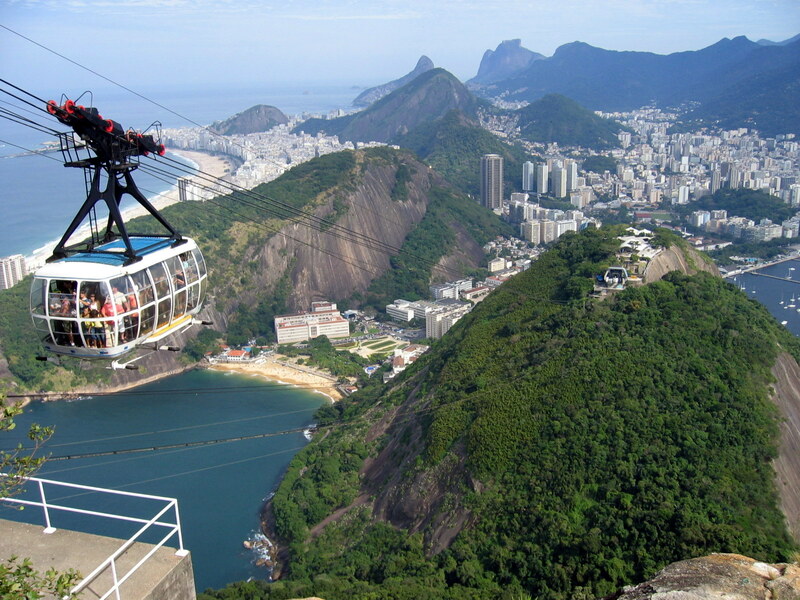 A cable car takes you to the top of the monolithic peak, and lets you appreciate the unique geographical setting of Rio. The gorgeous Guanabara Bay on the east, the Tijuca forest in the back, the numerous peaks, and the colorful beaches compose a breathtaking sight. Before catching my flight to Salvador de Bahia, I still had time to take a last stroll on the waterfront, and to buy some reliable and cheap Havaiana flip-flops. Btw, we’re in the middle of winter here, but life still revolves around hanging out on the beach and drinking juices while chatting on the streets. 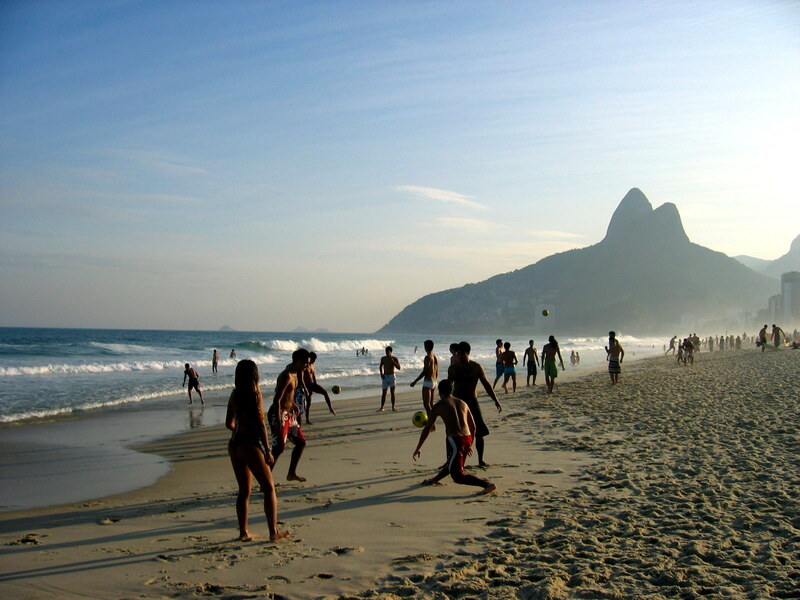 Rio is called Cidade Maravilhosa, rightly so. Thanks for your kind words and for catching a typo, John!